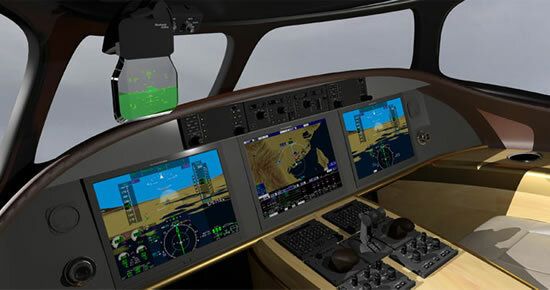 Rockwell Collins, a leader in innovative communications and avionics systems for the aerospace and defense industries, has selected the AMD Radeon E2400 embedded graphics processor for inclusion in its highly-intuitive, integrated flight deck solution, Pro Line Fusion . Chosen for its advanced 3D graphics rendering capabilities, the AMD Radeon E2400 helps generate realistic graphical models of the external aircraft environment to help improve awareness of terrain, obstacles and runways in low visibility conditions. 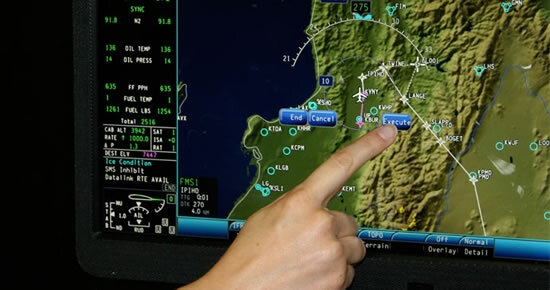 With this technology, pilots can now have key information at their fingertips, enabling them to make informed decisions during every phase of flight. Pro Line Fusion from Rockwell Collins offers a fully integrated flight deck with unsurpassed and pioneering features for business and commercial aircraft. Fusion helps pilots manage, monitor and master flight automation, with key elements that make flying safer and more enjoyable. The industry’s first head-up synthetic vision system enhances safety, MultiScan radar makes weather flying simple, and eyes-forward graphical map interactivity lets you focus on flying.